Don't assume your move will be covered by a homeowners or renters insurance policy. They probably don't. And if the mover's valuation coverage doesn't give you enough peace of mind, you must check into moving insurance to make sure all of your worldly belongings are covered during your move. We can help. Relocation.com stories will help you navigate the confusing seas of moving insurance, and we can point you in the right direction for insurers who want to help protect your move. Moving Protection: How Should You Insure Your Belongings? 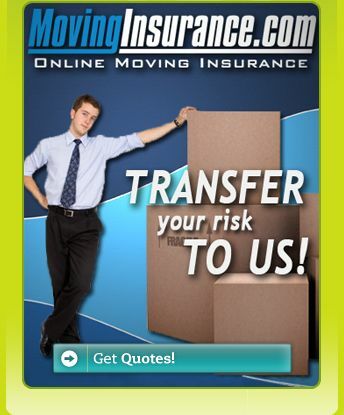 You have several options when it comes to moving insurance -- one's free, but it won't give you much protection.